WASHINGTON — There's an 80 per cent chance of a new NAFTA agreement in principle within a month, the Mexican minister leading the file said Monday. 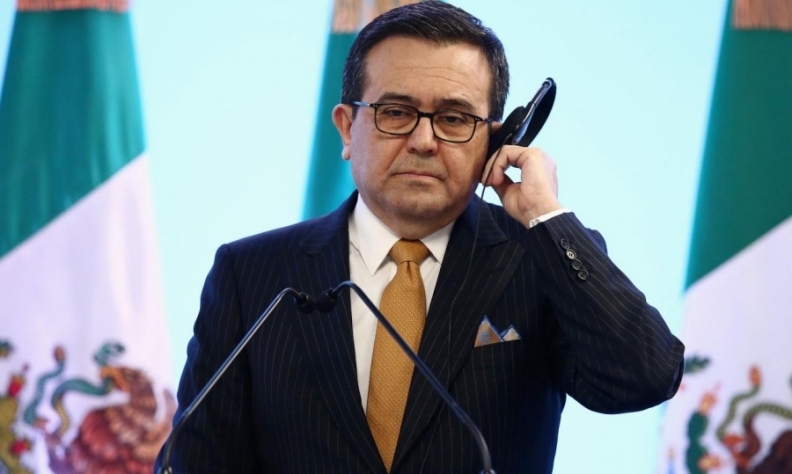 Secretary of Economy Ildefonso Guajardo told the Mexican network Televisa that he believes a deal is probable soon. "I would tell you there is a high probability of 80 per cent," he said. "It will depend a lot on flexibility." He says it won't happen within days, nor — as some had hoped — by the end of this week in time for Donald Trump, Justin Trudeau, and Enrique Pena Nieto to make the announcement at the Summit of the Americas in Peru. But Guajardo says negotiators from all three countries are now speaking constantly. He says officials are still negotiating technical details in Washington, after their political bosses, Chrystia Freeland, Guajardo, and Robert Lighthizer held talks last week. "It's a permanent round," Guajardo said, describing the non-stop negotiations. He said it will become clear by the first week of May whether an agreement in principle is possible this spring, after which point the talks could languish until 2019, while Mexico elects a new president and the U.S. elects a new Congress. Guajardo warns that nothing is guaranteed in this political environment. In an oblique reference to Trump and his social-media habits, Guajardo says policy-makers sometimes find themselves scrambling to respond to the thoughts of a superior shared publicly at 6 a.m. He says the U.S. had already shown some flexibility on the issue that is the focus of current negotiations: autos. He confirmed that the U.S. had been willing to drop its demand that 50 per cent of every car consist of American parts, in exchange for a new system that credits parts-makers when they pay more than $15 an hour. The policy could punish Mexico. As Guajardo noted, that $15 figure is several times the current wage of workers there: "In Mexico — we clearly don't have that." "The devil is in the details," he added. The countries have been discussing technical details such as the phase-in period for the policy to take effect and other variables of the new formula. If achieved, an agreement in principle would start a longer process. In the U.S., that means months of consultations before the Congress can vote on ratification. Once all three countries ratify it, the new trade pact would take effect. Some Americans are in a hurry. In particular, agriculture states, already battered by low crop prices and poor weather, are antsy about getting slammed by tariffs in retaliation for Trump trade actions over steel, aluminum and China. A Republican senator told NBC's "Meet The Press" over the weekend that he understands the U.S. should target Chinese trade practices like the theft of intellectual property; but he says he wants to see a coherent strategy and says such a strategy should mean solidifying other trade relationships. "Number 1, let's quit fighting with Mexico and Canada," said Sen. Mike Rounds. "They are our allies. We've actually got a pretty good relationship right now with NAFTA. So, [let's not be] going after NAFTA and starting over there."